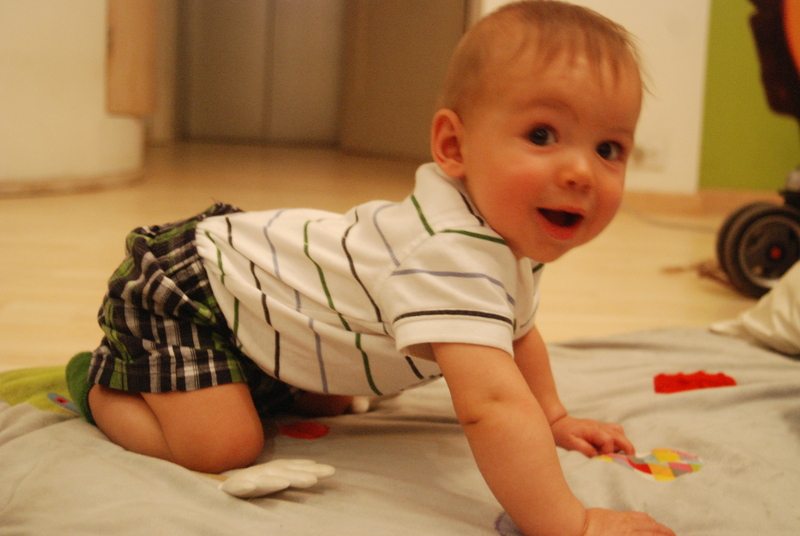 Dexter is on the verge of crawling! He’s been “scooting” for a few weeks now (here), (here) and (here), but just today he started getting up on his knees. Now it tme to get down on your knees and look at all the fun things he can get in to. Baby proof one o one. Watch out, here he comes. Or is it, there he goes.